The employer must pay attention to the situation of Lone working et so on the possible consuquences as part of its risk assessment. It is up to him to take appropriate preventive and organizational measures to implement. When there is no regulation about the lone working, it is the risk assessment supposed to be led by the employer which must enbale to identify the potential situation of punctual or longtime, usual or unusual Lone working, and the associated risks. Then, it is up to the employer to determine the appriopriate measures. The process of the professional risk prevention is dedicated to the risk avoidment and/or limitation before anything else. The measures, set up on the basis of the general prevention principles, will aim to control the risks that can not be avoided, by integrating safety as early as possible into the work process, and by giving priority to collective protection measures on the means of personal protection. to determine appropriate measures for their prevention. This approach will lead to the obvious, to search for organizational measures, collective protection measures, means of personal protection, but also training and information measures for workers appropriate to the specific problems related to isolation. The answer to the obligation of security can in most cases be fully assured by LWP devices. A LWP (Lone Worker Protection) is a device used by one (or more) workers "out of sight and out of hearing" other workers (examples: in an environment dangerous, for security guards, guards, maintenance technicians ...). This is a device to alert help in case of problems. 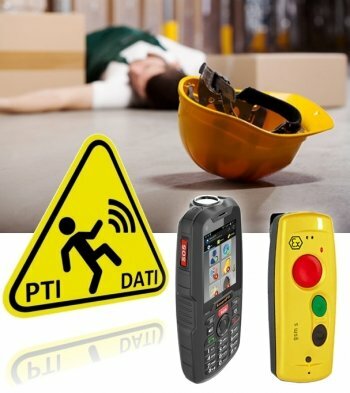 The call can be triggered voluntarily and / or automatically, in case of loss of verticality of the worker for example. Especially useful for the maintenance agents, security agents and patrollers, itinerant employees or simply for all of the Lone workers.